Before I fill you in on these techniques THIS might help you a LOT more! Don't wait! Start today. 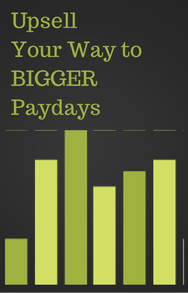 With just a little bit of the knowledge you will still increase your income. What is stopping you? Check it out!! This is YOUR year to shine. Building clientele techniques will help you do your building while outside of the salon. NO GET RICH QUICK IN COSMETOLOGY. You can get rich, just not overnight! Let's get to work with some creative building clientele techniques. First of all, do you have your hair stylist business cards yet? If not, you better get on that. How can you expect to gather new clients without your cards? You can't do it effectively. But let's say for now you are locked and loaded and ready to use these client building techniques. Never leave home without them! You have your hair stylist business cards ready to go. The other important thing you should have is the right attitude. Accept that building clientele will take time and energy. Approach it with a winning spirit. 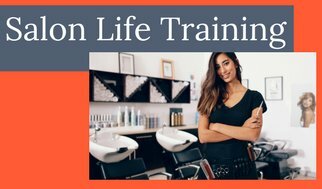 You are building a lifetime beauty career now. Just like salespeople say "Always be Closing" you now think "Always be Marketing." Treat your career like your own business. It IS your business, no matter where you work, it is your livelihood. If you choose not to self manage your marketing you will be the stylist hanging out in the breakroom looking at facebook on your phone half the day. And guess what? Nobody makes money in the breakroom. Want to pay your bills? You have to market. 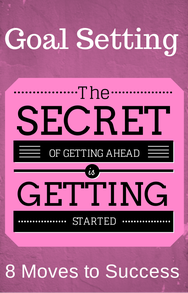 So your new mindset should be always looking for opportunities to get your name out there and clients in your chair. Whatever it takes. Building clientele is your new priority. Also keep in mind that you are legit. You are a licensed professional hair stylist. You don't have to tell anyone you just got out of school and they don't usually ask. If they do, just say a couple of years. It's mostly the truth. You did hair while you were in school and that counts. If they ask where you worked pick a franchise salon close but not too close to where you currently work. It really isn't a big deal. Be confident that you earned your license. Where you work greatly affects your marketing plan. 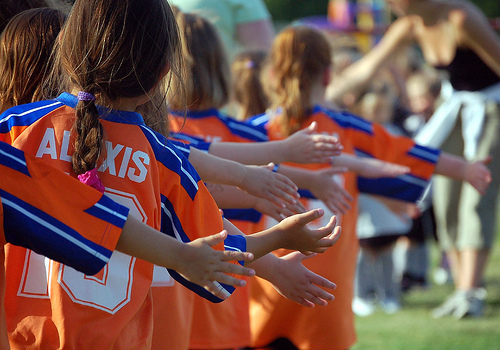 If Paige, the Bridal Stylist, wants to market for new clients would it serve her to go to kid soccer games? Nope. But if Sally Stylist, who works in a neighborhood family salon, thought to go to kid's soccer games to market, would it be a good fit for her? Probably so. The games would be full of her target market, neighborhood women with kids who play a sport where they get hot. Hot means haircuts to a stylist. Community likes to support community businesses. This would be a great place for Sally to get her name out there and start building clientele to pay her bills. Hey, do you have some great Client Building Tips that work? 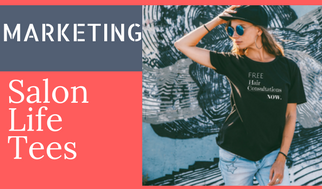 Before you go out marketing, consider wearing a Hairstylist marketing tshirt from Salon Life Tees. I designed these to help you target your perfect clients and entice them to approach you to talk about their hair! Before you make your marketing plan you have to know your specific target market. What type of services do they need? What is important to them in a salon? Now that you have mapped out your specific clientele, where do you find them? You go where they go! We need an example for this one. Let's say your target market is women, aged 30-55, professional businesswomen with income over $50,000 a year. They are great multi-taskers and are health conscious. They need services like cut, color, straightening, color maintenance, eyebrow shaping, facial hair removal, eyelash extensions, facials, manicures, pedicures, and blow outs. 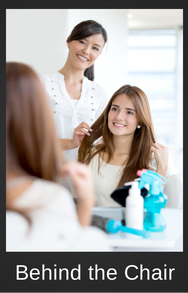 Customer Service is the most important element to them of a salon. They like to be treated like they have money. Let's do another one: Lower middle to middle income families, parents with children who do team sports, blue collar workers, families that live in the suburb of Clapton. They need haircuts, some color, shampoo and style, hair straightening, manicures, pedicures. Cost and speed are the most important elements of a salon to them. They always have to be somewhere with the kids and they are on a budget. Where do you find these clients? Are you getting the feel of target markets and how zooming in on yours will enhance your marketing efforts and begin building clientele? You need to be clear who your people are. Your cards and time are worth money. Why waste it on clients who wouldn't want what you offer? Before You Leave the House You Need to PREPARE! Part One of Marketing with Your Tshirt. Part Two of Marketing with Your Tshirt. Always have your hair stylist business cards on you. Make a personal commitment to hand out 100 business cards a month. Center your marketing around your unique personality. Show interest in everyone you meet. Let your passion for hair show through! Dazzle them with your smile and enthusiasm. Make them want to be in your presence. "I would love to do your hair! I could see you with some fringe around the front to frame your face and bring out your pretty eyes. I work at La Bella Salon just 5 minutes from here. Here's my card." The fringe was only an example. You are a professional hair stylist! What tweak could you do for someone to enhance their look? Keep the enthusiasm in your voice. Marketing yourself means you have to talk to people you don't know. I hope that won't be a problem for you. I believe it won't be because you need this skill to be a hair stylist. Building clientele will be very hard if you won't talk. But if you need people coming to you instead, you probably need to start out at a franchise salon. Happy to oblige. Jump right over to 7 Creative Clientele Building Ideas! When new hair stylists ask me how to build clientele and I tell them, they usually say "That's a good idea" then they never do it!! I keep wondering why they ask if they don't really want to know. Then I realized why. Because many are called and few answer. There is no get rich quick in cosmetology. People want the easy way. None of this is hard but it does take commitment and work on your part. 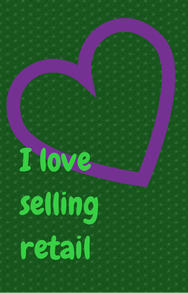 I know you got some great information here to make building clientele much easier than you thought. Do just some of it and you will be laying a strong foundation for a lifetime career. Do nothing and struggle to pay your bills. Your choice.